Get a chance to go behind the scenes at Warner Bros. Studios and see familiar sets and scenes from some of your favorite films and TV series. You'll get to visit exclusive areas of the studio, learning about production, and bringing home some memorabilia from the studio's museum. 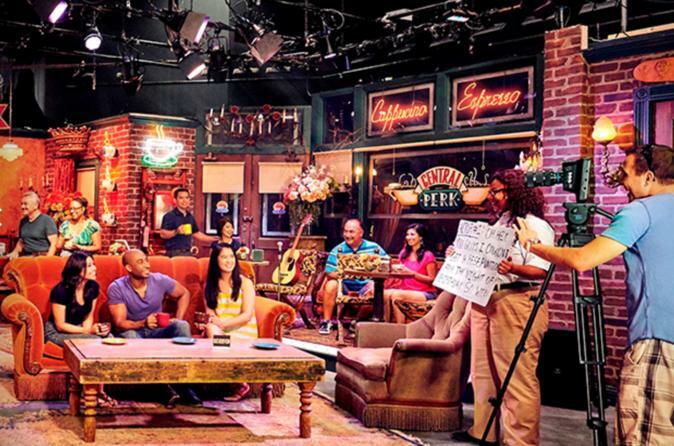 You may visit sets of The Big Bang Theory, The Ellen Show, and even take a seat on the couch from the Central Perk in Friends! Enjoy admission and transportation to Warner Bros. Studio Tour Hollywood, a real working Hollywood studio where you get closer to the entertainment you love. Explore outdoor sets and soundstages where some of the most iconic Film and TV Shows have been filmed such as Ellen, The Big Bang Theory, Pretty Little Liars, La La Land, and Gilmore Girls. Knowledgeable tour guides will take you behind-the-lens for a revealing look at how and where TV and Movie magic is made. Each Studio Tour includes exclusive access to original props, costumes, picture cars, and sets used from Batman to Friends. As part of the Studio Tour, guests will visit The Archive, featuring DC Universe: The Exhibit with authentic costumes and props from the blockbuster hit, Wonder Woman. On the upper level of The Archive guests can see The Harry Potter and Fantastic Beasts exhibit and explore how J.K. Rowling’s Wizarding World has been brought to life on the silver screen over the past 15 years.